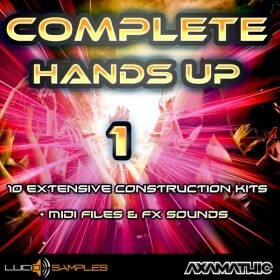 Complete Hands Up Vol. 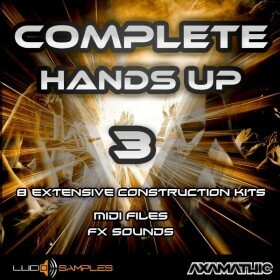 2 carries on the series of our sample packs for Hands Up music production. 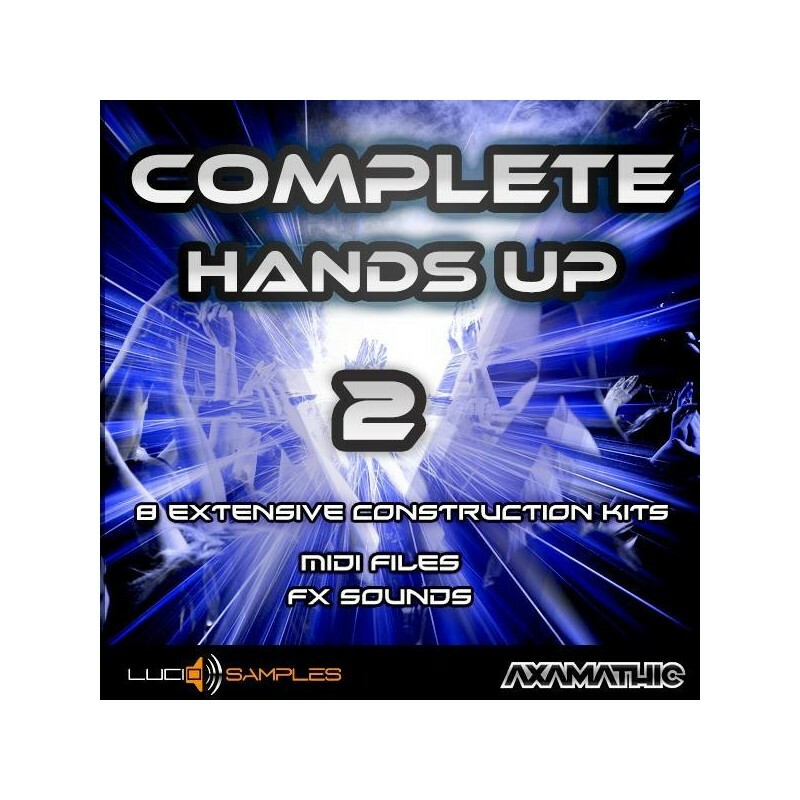 After the success of volume 1 it is time to present you a set of 8 comprehensive construction kits packed up with energetic melodies, synths and groovy sounds so typical for Hands Up music. Each of 8 compositions is divided into several layers containing lead synths, support synths (overlays), basses, pads, percussions and other instruments including pianos, chimes, violins and guitars. 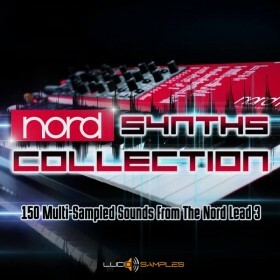 Rich samples selection allows many possibilities to combine multiple tracks and to create compete and unique tunes. Each track in each variation is in MIDI format so that you can change any part you want or apply different sound presets. A set of over 50 supplementary sound effects will help in creation of breaks and transitions as well as adding some relish to each part of composition. Each construction kit has its own specified 3 sections of samples which correspond to three characteristic parts of a piece: "Slow Melody", "Break Melody" and "Main Melody". Every one of them cumulates in oneself samples which are specific for certain part of the arrangement. Slow Melody section – gives slowdown between energetic parts of a composition and it’s also perfect for an intro. It builds up calm and emotional ambience in the track. This section is composed of piano tracks, synths, bells, pads, bass pads, choirs, strings and others. Break Melody section – is a perfect connector between ‘slow melody’ and ‘main melody’. It breaks every track from slow and emotional atmosphere and leads it to energetic chorus. In this section's tracks we used synthesizer sounds dedicated to Hands Up music, deep and swaying basses, synth leads, subsidiary synths (overlays), pads and also kicks and snare rolls. Main Melody section – the culmination part of each of the 10 arrangements (chorus). The same sounds as of the ‘Break Melody’ section are used here but now in a complete melody lines (not broken). Additionally the drums also appears divided into such tracks like: kicks, snares/claps, hi-hats, loops + mix drums in one track. Each of eight arrangements is written into 4 multitrack midi files: Slow Melody, Break Melody, Main Melody and Full Track. 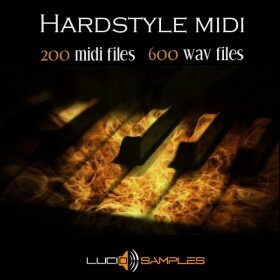 MIDI format of all tracks allows much freedom to modify each one as well as unlimited usage of other sound presets, favorite virtual synthesizers and external hardware synth instruments. Complete Hands Up Vol. 2 is a very complex and versatile sample pack ready to create complete Hands Up tunes with characteristic for this music genre pleasant vibes and is a proper successor of previous part.